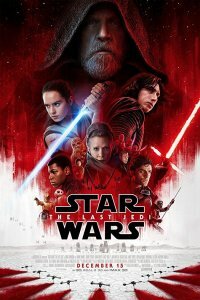 Since Rian Johnson’s Star Wars: The Last Jedi contains almost all of the elements that have made the franchise so popular – likable heroes, implacable villains, superb special effects, colorful aliens and robots, the requisite number of space battles and lightsaber duels, and a rousing John Williams score – it will undoubtedly prove enormously successful and thoroughly satisfying to diehard fans. However, as time passes, I suspect that those fans will cherish this film far less than its precursor, Star Wars: The Force Awakens (2015 – review here) – for reasons that were largely beyond Johnson’s control, though a few of his decisions might also be questioned. To explore why this is the case, let us begin with the basic scenario that underlies all Star Wars films: the rebels find themselves hopelessly outnumbered, and hopelessly outgunned, by the vast and superior forces of the evil Empire, or First Order, and they can achieve improbable victories only by relying on desperate initiatives, a bit of luck, and some assistance from the Force. In Star Wars: The Last Jedi, Johnson has overplayed this hand; compared to their opponents, the rebels here are tiny and impotent, so much so that instead of striking blows against the empire, they are simply struggling to stay alive. This has a dampening effect on one of the franchise’s greatest assets: its sense of humor. Star Wars heroes are supposed to enjoy interludes of relaxed camaraderie, with good-natured barbs directed at friends and amusing exchanges with clueless robots. And why not? Sure, the odds have been against them, but they still have numerous allies and resources, and a plan of attack that just might work. But when you are part of a small band of isolated fighters, reduced to hoping that your enemies will only slaughter some of your comrades instead of all of them, you’re not going to be in any mood for joking – imbuing this film with an aura of unrelenting grimness. Sure, there are a few funny lines, but they seem out of place and rushed, Johnson’s obligatory nods to tradition. Further, given their dire predicament, the rebels’ proposed countermeasures always seem not only improbable, but absolutely impossible – as the characters themselves seem to recognize. And at times, they do actually turn out to be impossible, so that some other sort of deus ex machina must be abruptly introduced to allow our heroes to escape disaster. One could say that Johnson is only introducing some realism in the saga, for when the odds against you are a million to one, yes, it’s very likely that you will occasionally lose. But it also means that this film’s heroes are sometimes undertaking dangerous adventures that turn out to be a waste of time, making the sequences seem like pointless exercises in getting people into trouble and getting them out of trouble. There is also at least one instance of a battle that, while significant within the context of the film, is utterly superfluous; after you have killed off a major villain, why engage your heroes in a prolonged free-for-all with his anonymous minions? But, I suppose, counting the pages of the script indicated to Johnson that it was time for another dose of action. Still, while one can complain about this film’s plot, the true appeal of Star Wars films, as I have argued, stems from its engaging characters, and as a newcomer to the franchise, Johnson faced the challenge of presenting and integrating three sets of characters: the returning protagonists from the first trilogy, the heroes introduced in Abrams’s film, and the new characters he would necessarily add to the saga. And while acknowledging the difficulties involved in doing so while simultaneously crafting a fast-paced adventure, one must say that Johnson did not entirely rise to the challenge. Hamill’s Luke Skywalker does eventually get to wield his lightsaber, but Johnson’s script has him spending an inordinate amount of time as a grumpy old man, refusing again and again to train Rey (Daisy Ridley) to become a Jedi knight or assist the rebels. This is annoying; from the moment he first appears, every person in the audience knows that he will ultimately rejoin the rebels and actively oppose the First Order, so there is no real reason to postpone that inevitable decision. Along with all the unnecessary action, Hamill’s interminable grouchiness is another reason that this two-and-a-half hour film seems to be about thirty minutes too long. As for the other returning characters from the first trilogy, Johnson, like Abrams, just doesn’t seem interested. Chewbacca is now played by Joonas Suotamo, previously Peter Mayhew’s double (with Mayhew now credited as the film’s “Chewbacca consultant”), but he only appears occasionally and makes no significant contributions to the plot. His only memorable moment comes when he cannot bring himself to eat one of the birds called porgs that inhabit Skywalker’s planet because other porgs are staring soulfully at him – Johnson’s tribute to vegetarianism, I suppose. The robots R2-D2 (Jimmy Vee) and C-3PO (Anthony Daniels) are similarly given nothing to do, as the younger, cuter BB-8 (Brian Herring and Dave Chapman) performs all of the film’s robotic heroics. When Skywalker again meets up with R2-D2, and later encounters another old friend from the early films, those moments should have some genuine emotional impact; they don’t, as Johnson lurches back to telling his story. Johnson does his best work, I think, with Abrams’s characters. Rey is the film’s center of attention, as she strives to reawaken Skywalker’s passion and gain mastery over the Force, but the mystery of her parentage is either disappointingly resolved or left unresolved, depending on whether you believe what one character has to say. (It’s interesting that Skywalker tells that character, and one other character, “Every word you just said is wrong,” suggesting that they are not to be trusted, and one also recalls Obi-Wan Kenobi’s big fib in the original Star Wars  about the death of Skywalker’s father.) Adam Driver’s Kylo Ren has thankfully abandoned his Darth Vader helmet, after his employer Snoke (Andy Serkis) belittles him as “just a child in a mask,” and this gives him more of an opportunity to act as he continues to waver between the Dark Side and the Light Side, a welcome contrast to the bland, robotic villainy of Snoke and General Hux (Domhnall Gleeson). Kylo Ren also appears to be falling in love with Rey, though she doesn’t seem interested, a thread left to be developed further in the next film. Oscar Isaac’s Poe Dameron is a bit more prominent in this film, John Boyega’s Finn is a bit less prominent, but they remain likable, if underdeveloped, heroes; BB-8 cements his status as the franchise’s most lovable robot; and Lupita Nyong’o’s charmingly strange Maz Kanata makes a cameo appearance. Johnson also brings back some characters that you’ve forgotten about, and will forget about again; only the most obsessive of fans will be thrilled by, or even notice, the return of Gwendolyn Christie’s Captain Phasma or Billie Lourd’s Lieutenant Connix. The most significant new character is Kelly Marie Tran’s Rose Tico, who looks a bit chubby and thus introduces another minority group to the film’s ensemble. Also, since Johnson seems to be laying the groundwork for a triangle involving Rey, Kylo Ren, and Poe, Rose can usefully function as Finn’s romantic interest, and she introduces the theme of economic inequality while criticizing the human and alien arms dealers who are enjoyably squandering their ill-gotten gains in a glitzy casino (this film’s version of George Lucas’s famous cantina scene). But the two award-winning actors Johnson introduces to the Star Wars universe bring no conviction to their performances, suggesting that they viewed themselves as slumming for a paycheck while awaiting an invitation to appear in a more respectable film. There is something disturbingly authentic about Benicio del Toro’s lazy con man DJ, as if he had resolved to expend no energy during his scenes, and Laura Dern’s Vice Admiral Holdo never conveys any real concern about the fates of the beleaguered rebels under her command, acting more like a baroness at a cocktail party than the leader of doomed soldiers. It’s little wonder that Poe doubts her commitment to the cause. Johnson’s other new characters are essentially spear carriers, though it’s always possible that some extension of the franchise will make them more meaningful. Overall, if characters are indeed the major reason for the success of Star Wars films, one has to worry about the upcoming “Episode IX,” now being crafted by Abrams; for in addition to other losses, and Fisher’s death, Johnson’s film kills off three major characters from previous films, and the survivors Abrams can call upon may not be strong enough to carry a film on their own. Even the star of the last two films, Rey, still lacks a certain amount of depth; Kylo Ren, Finn, and Poe have already been taken about as far as they can go without becoming legends in their own right; and one has little confidence that marvelous new characters will compensate for the conspicuous absences. But there is another reason to be concerned about all future continuations of this franchise that is related to one of this film’s announced themes. For characters in the film repeatedly state, very clearly, that it is time for the Star Wars story to conclude, and it’s possible that Johnson is talking to himself, articulating a conclusion he reached while making the film. Skywalker at one point opines that “It is time for the Jedi to end,” and Leia becomes convinced, near the end of the film, that her rebellion has come to its end. While explaining why he killed his father, Kylo Ren tells Rey, “Let the past die. Kill it if you have to. That’s the only way to become what you’re meant to be.” More forcefully, when he is later trying to persuade Rey to join him, he declares that “It’s time to let old things die,” and he explicitly includes both the First Order and the rebellion. He does not articulate his vision of the future at length, but if he doesn’t want to continue the First Order, and doesn’t want to join the rebellion, one might conclude that he aspires to create a government that falls between those extremes – perhaps, a benign dictatorship that would neither torment and oppress its citizens nor provide them with freedom and democracy – and this might suit his conflicted personality, and resembles many governments in the real world that are to varying extents mixtures of good and bad features. But Rey understands the starkly Manichean nature of Lucas’s universe and reacts indignantly to his suggestion; she knows that a long time ago, in a galaxy far away, you have to choose between the Light Side and the Dark Side, and if you don’t choose the Light Side, you’re effectively choosing the Dark Side. In Lucas’s universe, Kylo Ren does not have the option of discovering and embracing the Gray Side, or choosing the Dark Side on odd-numbered days and the Light Side on even-numbered days; the only way to achieve such an ameliorative solution is to destroy Lucas’s universe and start all over again, which is impossible within the framework of the franchise. This means that future Star Wars films are destined to be assemblages of iterative conflicts between pure good and pure evil, employing the same old tropes and same old weapons ad infinitum; and I’ve already grown tired of it all, and perhaps even the most dedicated fans will start to grow tired of it all when they are watching their seventy-seventh lightsaber duel, or their ninety-fifth starship battle. For forty years, westerns that kept recycling a small number of characters and storylines were a dominant presence, first in magazines and films and then on television; indeed, I recall a time when it seemed that every other dramatic series on television was a western. However, around the 1970s or so, almost everyone lost interest in the genre, which now is virtually dead. It may not happen next year, or the year after that, but I have to suspect that, at some point, almost everyone will similarly start to lose interest in Star Wars, and Disney’s determination to keep churning out one Star Wars film after another may accelerate the process. Another factor that may start to alienate fans is that, very obviously, Disney now views Star Wars films primarily as devices to promote and sell products. For the past several days, I have been inundated with junk email urging me to purchase items of Star Wars merchandise; at least three of the commercials that preceded the showing of Star Wars: The Last Jedi that I attended had Star Wars themes; Disney will soon add Star Wars lands to Disneyland and Disney World, and these will surely become pretexts to boost admission prices and sell overpriced trinkets in its stores; and even aspects of Johnson’s film seem unpleasantly inspired by a desire for more profits. The more prominent role of BB-8 in this film surely relates to the enormous popularity of the toys and figurines that were inspired by his earlier appearance, and the porg that accompanies Chewbacca has nothing to do with the plot, but like Lucas’s Ewoks, he sure is adorable and seems a perfect model for plush toys. Three other exotic creatures introduced here – the enormous, horse-like fathiers, the crystalline, fox-like vulptices, and the humanoid, frog-like lanais – may also be immortalized as toys. Today, there are already too many commercials preceding films; when the films themselves start to seem like commercials, viewers may wonder why they are paying to see them. Still, I already know that my son-in-law and granddaughter, both Star Wars fans, are sure to enjoy this film, and my suspicion that they will someday evolve into crotchety critics like me may be misguided; for there is also something comforting in revisiting familiar characters who experience familiar adventures, and that is manifestly the sort of comfort that Star Wars: The Last Jedi provides. And perhaps it is only long-time science fiction readers, schooled by what was once a variegated and constantly surprising genre, who perversely prefer some novelty in what they read and watch. Gary Westfahl provides an insightful review. I felt the hero’s journey wasn’t strengthened with this installment. I loved the mirrors. What was that all about? Does the Force connect realities in the multiverse? The reviews are in. It appears the majority of viewers (those writing in to Metacritic, at least, which I am assuming is a statistically significant sample given the large numbers) dislike the movie, many of them vehemently so. Never, in my experience, has a Star Wars movie been so instantly and decisively reviled by the fan base, not even excepting the Lucas “prequels.” Is it just a bad movie for the fans, or is there something more meaningful going on in terms of the franchise itself? Well, yes, the reviewers universally liked it, but that is simply the usual annual summertime-movie-season attempt to shill for the industry in order to gin up the box office take. Happens every year for the anticipated big blockbuster of the season. Even Mr. Westphal himself is not immune to its blandishments, although, to his credit, he does wonder about the long-term reputation of the film. But, unlike his and practically every other critic’s opinion, its short-term appeal also appears to be in jeopardy. 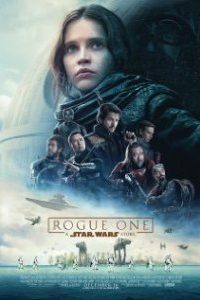 I liked it better than episode 7, but now me thinks Rouge One was better than 7 or 8! Seems everybody is suffering from the BLIVIT problem, 100 lbs of narrative story pounded into a 5 lb visual narrative bag ( 2h and 33 m here) (everybody is doing it! see Justice League). One thing is really getting to grate. A sequence, more than one here, that ‘shadows’ a sequence in episodes 4-6, rejiggering , in Force Awakens the ending of A New Hope and now the opening sequence in The Empire Strikes Back, late action in Last Jedi , man, that is tiresome been-there-done-that. I wish they would knock it off. Welp, guys, looking at the latest take, Disney will cry all the way to bank, and the fan boys can put that in their pipes and smoke it.